YouTube has revolutionized video streaming for everyone in the world. Launched back in February 2005, a project of three Bangladeshi students, it stunned the world with its innovation. In the beginning, it only featured a certain type of videos but as the time passed, more and more features were included. Nowadays, people earn money off of YouTube as well; through AdSense and other third-party advertisement companies. YouTube essentially keeps a cut from their earnings as per the agreements based on the contracts. YouTube enables you to listen to your favorite music tracks online as opposed to having to download them first. However, if you still feel the need to download your music tracks, then you need iMusic. 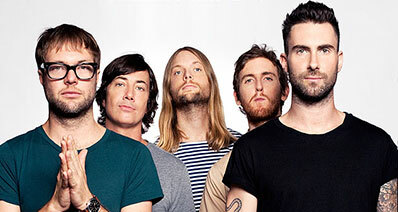 This iOS and Android application helps you download your favorite songs. Let’s find out more about the iMusic and how you can download the videos. 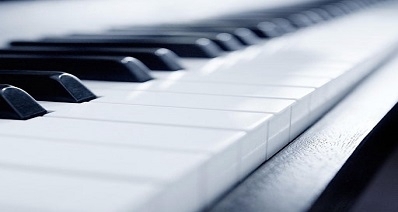 Find any song in a matter of seconds. 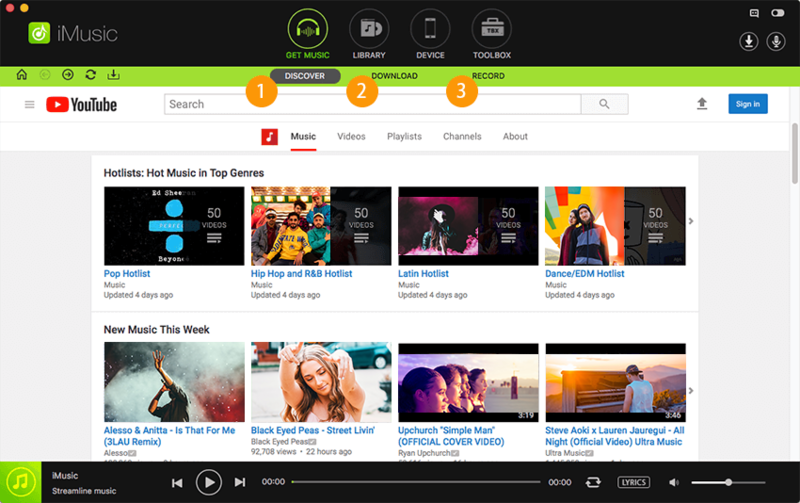 You can discover awesome music by its super effective search feature that lets you find music by typing in your favorite artist, album or genre. Did you ever want to record a song in high-quality as you listened to it? Well, your calls have been answered. iMusic lets you do just that. And to top it off, you can create playlists from these recordings too. Just tap record and voila! You know how big a hassle is it to transfer music to your iPhone or Android? 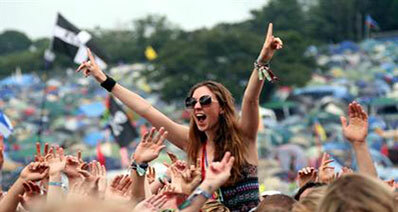 It takes all the fun out of the experience of enjoying music on the go. iMusic takes care of that too. It lets you transfer your favorite music across all your devices, absolutely effortlessly. There’s nothing more devastating than losing your music library. If you have ever been the victim of such a thing, lo and behold, for there’s a solution for it. iMusic backs up your library in case of these unexpected disasters and it also rebuilds your libraries. iTunes libraries are high-maintenance and you can lose precious hours sorting them out. This software takes care of that too. It fixes up your libraries to look, feel and play really nicely. The application provides an uber-awesome interface and it just takes 1MB of your disk space. Step 1: Download the application like you do any other software. (You can choose Trial or Paid version) Click on the “Download” in the section named “GET MUSIC”. It will take you to a page that has a URL Box and links to some other popular websites. Step 2: Now from here, there are two methods to download videos from YouTube. Open YouTube or your desired music streaming website. 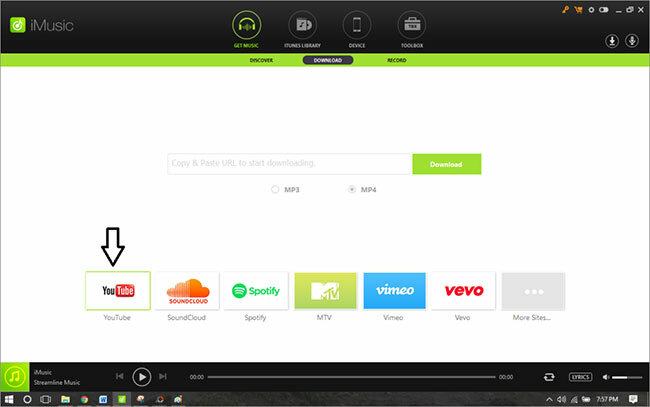 Copy the video link, go back to the application and paste the URL of the song in the URL BOX. Click the download button and sit back while it does the magic! The iMusic allows you to download in mp3 (audio files) or mp4 (video files). Click on the song when it completes downloading and enjoy! 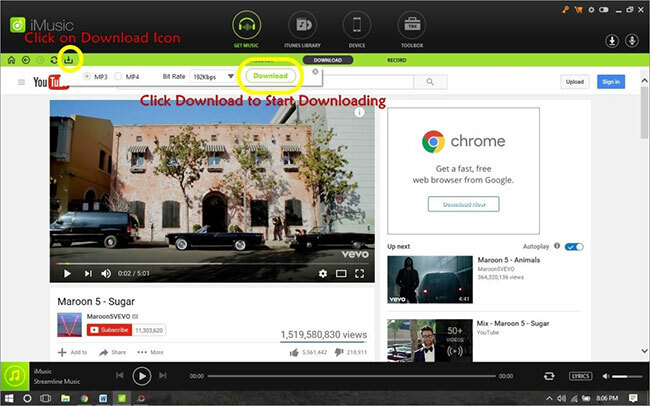 The 2nd method to download your desired music is to click on the YouTube website icon and YouTube will be opened inside the application. 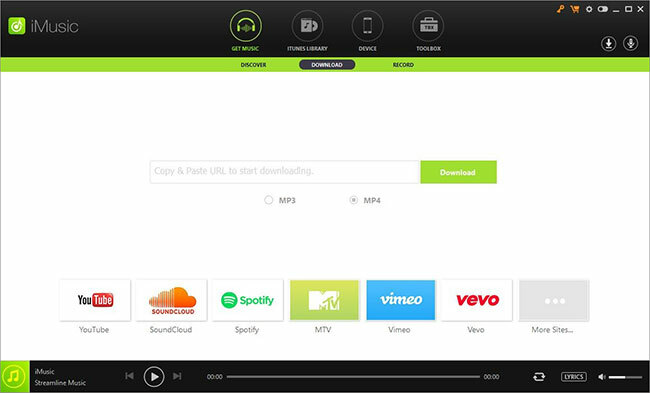 When you select your favorite video, there will be an option to download the song. Click on it after selecting the quality. It will begin downloading the song. Now that you have seen how wonderfully easy it is to download latest and most popular Hindi songs using iMusic, why not dance to the desi beats, without worrying about a slow Internet connection? Apart from this, you can use it to manage all your music, keep it synced with your portable devices and have a neatly updated music library at your beck and call.